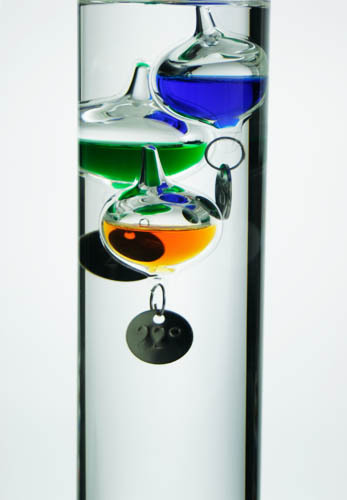 The Galileo Thermometer was invented by the Italian Scientist Galileo Galilei who discovered that heat affects the movement of precisely weighted balls floating inside a glass cylinder. 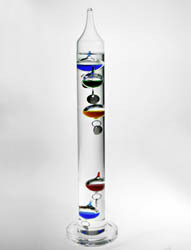 As room temperature increases the balls fall to the bottom and as the temperature decreases they float to the top. 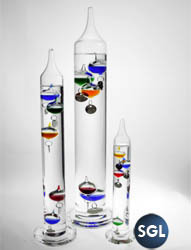 The room temperature is indicated by the lowest ball at the top part of the cylinder. 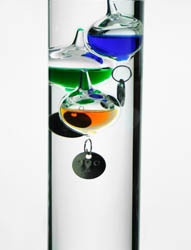 Website Design and Marketing Solutions D152. eCommerce solutions.